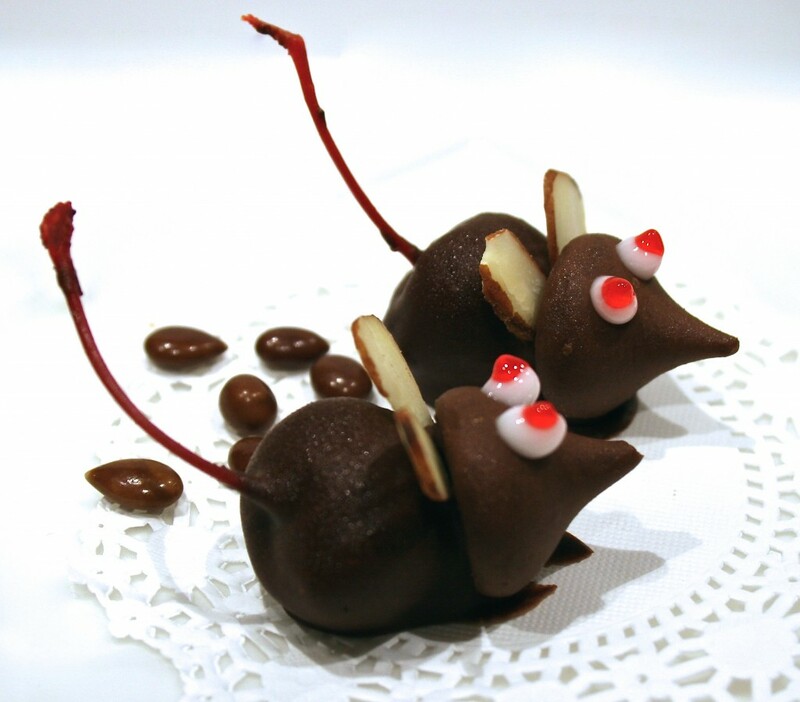 When I saw this Chocolate Cherry Mice Candy recipe I was reminded me of the poem Twas The Night Before Christmas. Remember the part about the mouse? Regardless of all that this recipe is just the most fun to make. 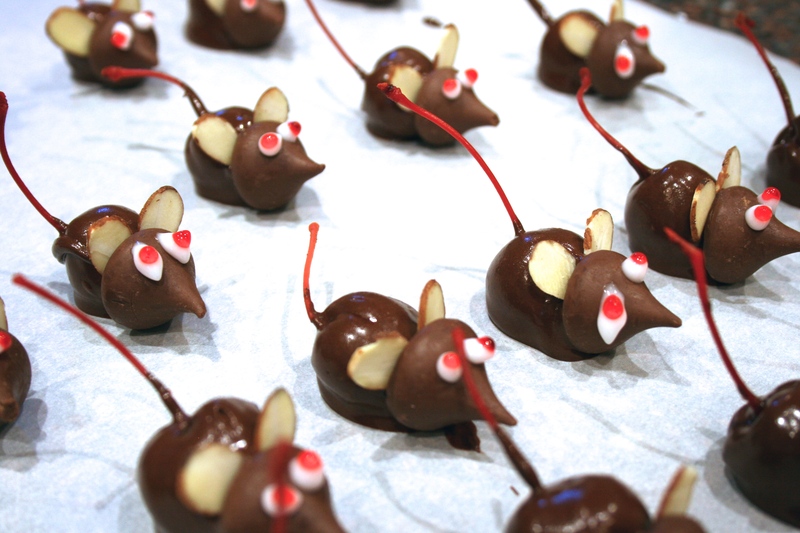 I found this Chocolate Cherry Mice Candy recipe in the Betty Crocker Halloween Cookbook. 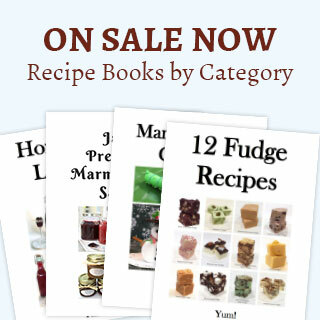 To me, it is a perfect recipe to showcase for the holidays. The kids will just love this. Line a baking sheet with parchment paper. Melt the chocolate chips and shortening in a small pan over very low heat until smooth. To make each mouse, hold a cherry by the stem and dip into melted chocolate, swirling to help smooth out the coating. Set on parchment paper and press a chocolate kiss opposite the stem (stem acts as the tail of the mouse). Carefully insert 2 almond slices between the cherry and chocolate kiss. Create 2 white icing dots with red icing centers for eyes. Refrigerate until set. Store in an airtight container. 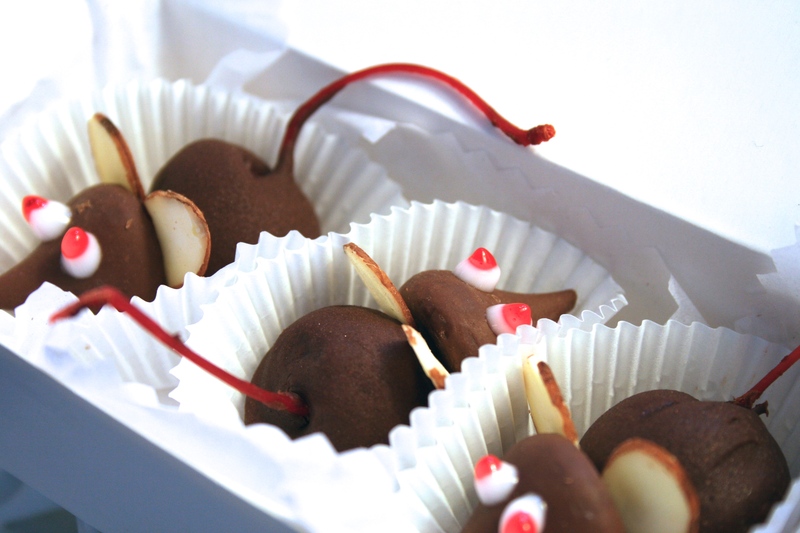 A decorative box of Chocolate Cherry Mice Candy makes a delightful gift to give to a teacher or coworker and they will be so impressed that you made these cute little delights. Enjoy. If you enjoyed these “Chocolate Cherry Mice Candy,” check out her Shoestring Potato Candy, Easy Fudge and Pretzel Pecan Candy Treats.